Mobile Spy is known as one of the top-rated monitoring software used on various mobile devices, such as smartphones. This is a type of ‘spy’ monitoring program that’s installed onto a ‘target’s’ phone. Cell monitoring software isn’t a relatively new development; most packages have surfaced within the past decade. With the advent of people using mobile devices to conduct increasingly personal matters, their loved ones and friends naturally grow a desire to learn more about them when they’re away. Although this technology may have use in business applications, they’re commonly used in personal applications like the aforementioned. When the app is installed, it operates in ‘stealth’ mode, collecting information from target phone. The user who installed it can later view this information via their online account panel. The sofwtare takes about 15 minutes to install onto the target phone; the user manual provides detailed step by step instructions. Following the installation, the user doesn’t have to access the target phone again. 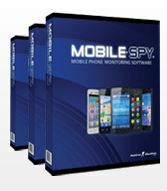 Mobile Spy was first developed and introduced by Retina X Studios, a Florida-based BBB accredited company. The main attraction of the Retina X Studios program is its accessibility, as parents, spouses and acquaintances frequently use it. Thanks to Retina X Studio’s efforts to distance its software from market competitors, it gained a significant portion of market share, due to its presentation and rich features. The app is known for its quiet and traceless installation, which allows the software to run without the knowledge of the device’s user. When it functions in its intrinsic stealth mode, their device won’t give them any indication of the software’s presence. Program silently records and transfers data between the device itself and the ‘installer’s’ user account in real time. This means that that user can watch that information update in real time. Phone file monitoring, including videos, photos and contact lists. When compared to other apss, there are some differences. The app offers these features – and more – in a Standard and Live Control Panel package. Standard packages include the aforementioned features, including messenger/social network monitoring, YouTube monitoring and an app tracker. The Live Control Panel package has more advanced features, including Live Screenshot, Stealth Camera and Record Phone Surroundings. The app is compatible with most phones, including Android (all versions to 4.2.2), iOS (all versions to 6.1.2), BlackBerry (all versions to 7.1) and Windows/Symbian OS. Some phones, however, might not be compatible with certain features. Mobile monitoring software is a common target of fraudulent products and/or purchases on the web. Is this app another victim of this deceptive web practice? Retina X Studios advertises the software as reputable and reliable. The website also provides accurate information for prospective buyers who want to learn more about the product. All purchases are securely made through PayPal and credit cards. Many web reviewers have also cited this program as effective monitoring software through their own user anecdotes. The security of the app itself is safe, as it runs quietly in the background of the monitored device. The app might produce a significant security risk if a third party accesses a person’s account, though such situations are rare. The software naturally harbors many benefits for people who need to monitor activity from loved ones and friends. A user account can monitor up to three phones on a single license, ideal for people to need to monitor more than one phone at once. It’s also considered the most cost-effective out of the spy options today. A single three month license costs around $50. It allows users to ‘try before they buy’ through their online and free live demo. This allows users to see what the user panel and reporting looks like before they purchase. The app is backed by strong customer support though Retina X Studios. Their technical and customer support are available on a 24/7 basis through email and phone, in addition to live web assistance. The software is ideal for people who need to monitor others for a short length of time, thanks to its affordable prices. It is now compatible with tablets, as of Version 6.5. It currently supports all versions of the iPad and Android tablets. According to many user reviews, the benefits make it well worth the subscription price. There are, however, some disadvantages. The investors feel that the system could be very complicateddue to the scientific jargon used in the description on the website. There is a demo account trading available on the website. It shows how the system works. It is a complex algorithm that collects and analyses the data from around the world, in a few seconds. But they need to understand that this complex system actually simplifies the entire process for them. The app may lack some features that other apps like StealthGenie provides. For some users, the price may cost too much for its purported use over time. Also, users who visit the site might not think it’s reputable at first glance. The Standard software package is currently available as a part of 3 Month ($49.97), 6 Month ($69.97) and 12 Month ($99.97) term contracts. The Live Control Panel costs $139.97 on an annual basis, which is actually considered cheaper than its competition. Since 2003, the company has provided users with a reliable and trustworthy monitoring program for their needs. Perhaps the most important thing about it is its continuous support for customers and the program itself, something that Retina X Studios takes care to provide. Its supported range of mobile phones and tablets reaches a wide range of consumers who want the simplest monitoring software possible. This spy tracker is a perfectly robust package for mobile devices. Users who are looking to purchase their first monitoring software package should consider Mobile Spy first, if not for its relatively easy to use and rich features. Copyright © 2019 tectivoo.com. Powered by WordPress. Theme: Accelerate by ThemeGrill.